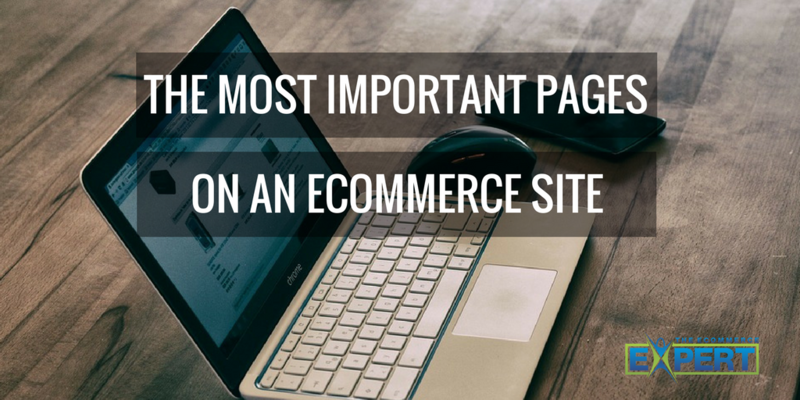 To be successful in ecommerce you need to be proactive, not passive. Continually analyzing to discover problem points and testing methods that better those points is essential. You must market, promote, adapt and be willing to go out on a limb in some cases — thinking outside the box. You must continually monitor the customer experience your site delivers to your visitors and ensure the layers of that are working together. You cannot sit back and expect sales to come in simply because you have a website listing products which target a specific market — even if you are getting loads of traffic to that site. If you are not going to be proactive you are not going to see results. During my coaching engagements with store owners I often see the same underlying misconception in where to focus improvement efforts, and what objective to target first for increasing sales conversion. As the old saying goes, “you must crawl before you walk and walk before you run.” To expect conversion increases without first targeting the most important areas often ends up in frustration. For example, to focus on the checkout process in an effort to increase sales when your website analytics shows that the majority of your visitors never even make it that far will yield nothing. Why? Because if your visitors are not even making it that deep into your site then they can’t check out anyhow. It goes to say that if they don’t see the checkout process then making adjustments to it will not yield additional sales. To answer that question for every store is difficult. Each business is different and each situation needs to be analyzed in order to develop an action plan for improvement based on the unique circumstances and objective desired. You should let your website analytics dictate where to begin. However, although the answer to that question is not clear cut, I can certainly give you a starting point for focusing improvement efforts. You see, although each ecommerce site is unique, the pages that visitors encounter — on any ecommerce site — which influences them to make a successful purchase remain fairly consistent. If you are wondering where to focus your improvement efforts try adding these pages to the top of your list. Oftentimes (unless paid search or SEO efforts dictate otherwise) the home page of a website is where a bulk of your visitors will end up at some point — if not right from the beginning. The home page needs to effectively speak to the visitor demographic(s) in such a way that they desire to continue deeper into the site. If they don’t move past your home page (often indicated by high website bounce rates) they aren’t getting to the product pages. If they aren’t getting to the product pages they likely can’t add an item to their cart. If they don’t add an item to their cart, they won’t check out. Got that? The home page should, at the very least, give visitors multiple options for accessing the products on your site and should have some room reserved for the latest promotion. If your website has a high bounce rate from the home page, you need to first focus your efforts on that page with the single objective of getting deeper visitor penetration into the site (i.e. increased pageviews, longer time on site.) This is one example of what I meant when I referenced the “crawl before you walk …” statement above. It is from this page that most product information is gathered and questions are answered which ultimately lead the buyer to add an item to their cart. Take care in your presentation, placing wording, descriptions, photos, and customer assurances in the best location to persuade action. The goal of a product page should be to get the user to add the item to their cart. You can’t make a sale if the item is not in the cart! Once an item has been added to a visitors cart the only way they can get out of your store with that product is through the checkout. This is a critical part. Think of it … you have an interested visitor who has a product or products in their cart and that likely wants to become a customer. The only thing keeping from that now is your checkout. The checkout process should definitely be monitored for abandonment rates using website analytics. 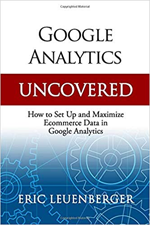 In Google Analytics I recommend setting up a funnel and associated goal for this process alone to keep track of its effectiveness. You want to know where in this process people may leave so you can refine it to capture future opportunities. The ultimate goal of the checkout process is to get the visitor out the door with a successful sale. Keep in mind though that for multiple step checkout processes you may likely need to develop smaller incremental goals throughout the process to get to that final objective. Your abandonment points reported by your tracking funnel will tell you where and what these smaller goals should be. There are an almost unlimited number of areas on a website which contributes to higher conversion. In reality, the entire customer experience must be considered if a sustainable and profitable ecommerce business is the goal. The list of pages I provided here are just a starting point for organizing your approach. Although these pages are important (each serving its role in closing the sale) changing just one will not always guarantee increased sales. You will need to interpret what your analytics is telling you in order to determine which page(s) to devote attention to. Pay particular attention to your visitor click paths and develop an action plan for improvement with realistic incremental goals as the objective. Think big but be willing to start small. Measuring and expecting incremental improvements over the “ultimate goal” will result in that final goal being reached more often. Remember, identifying and addressing the actual problem is the first step toward increasing conversion. You wouldn’t put the cart before the donkey and the same applies when looking for improvement from your website. Finally, take it in stride making alterations to the most “problematic” pages first as reported by your analytics program. In doing so, you’ll be gradually building what I call a “trail to the sale” which will lead the visitor down a specific and intended path toward the end goal. Good content – it’s nice to see a post that gets back to fundamentals. Don’t forget the powerful quick hitters like Google Base (formally Froogle) and other modules that get your content out there on several channels.